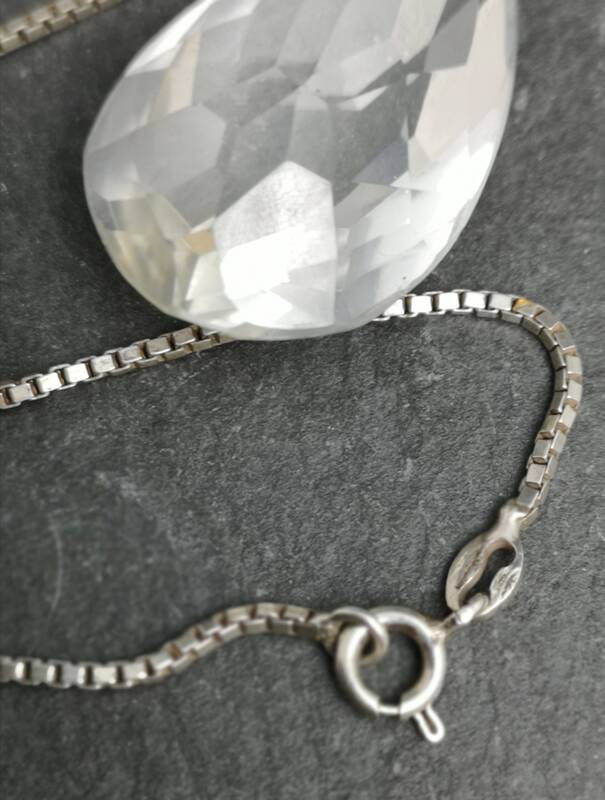 A very pretty vintage Art Deco crystal pendant on a silver chain. 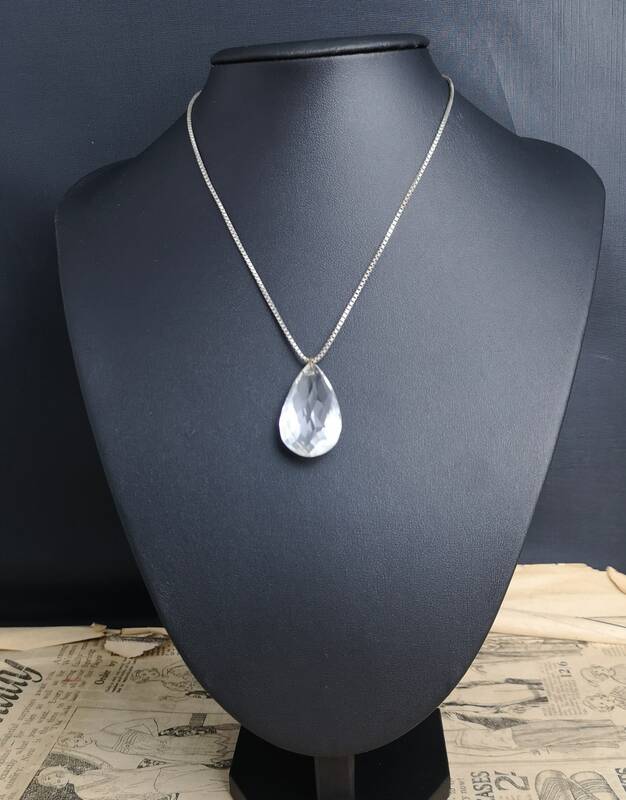 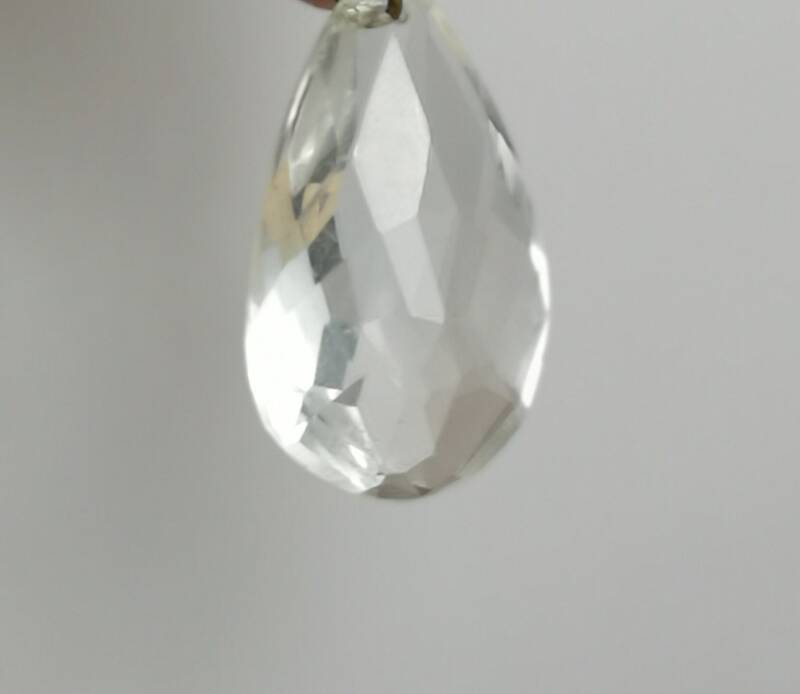 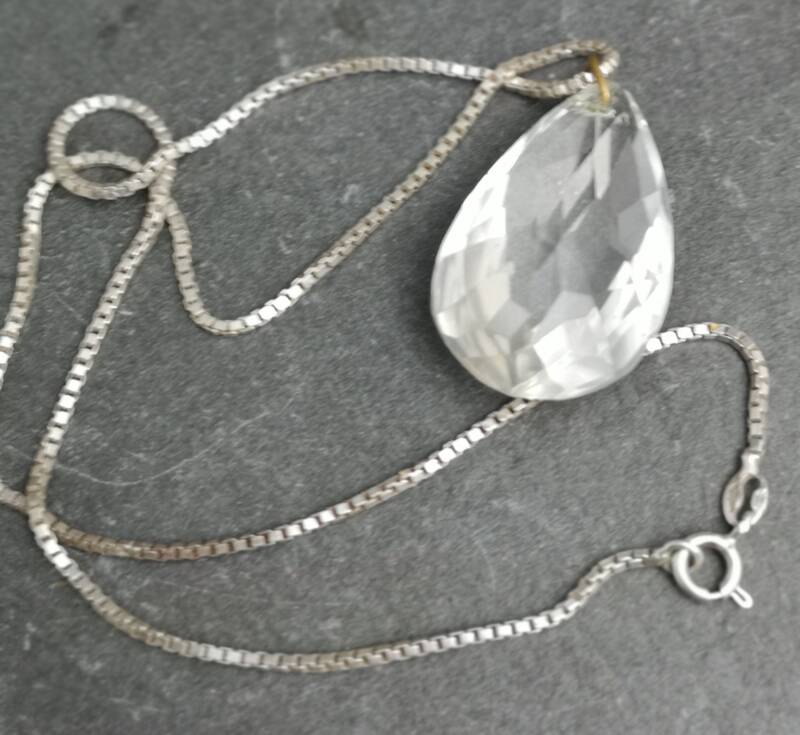 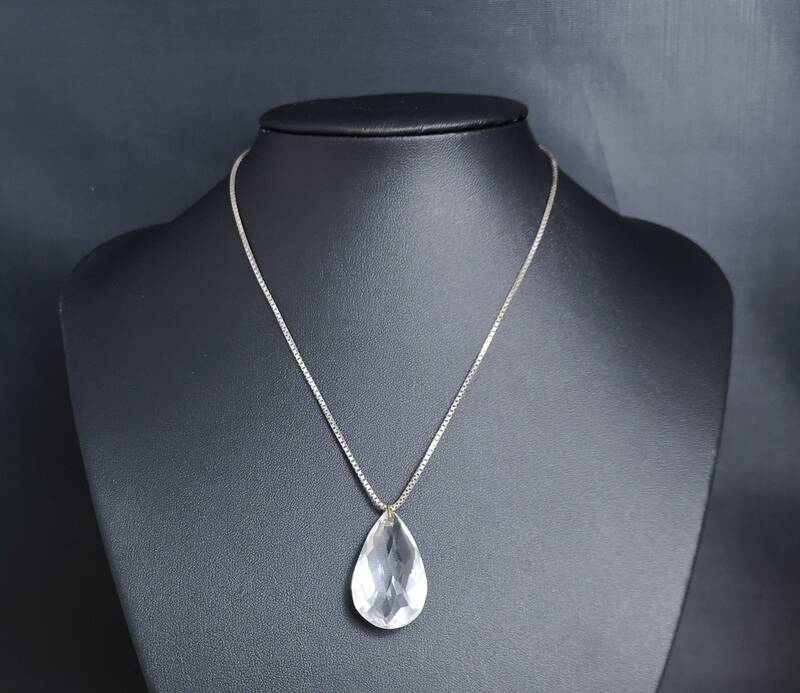 Beautiful faceted cut crystal in a teardrop shape. 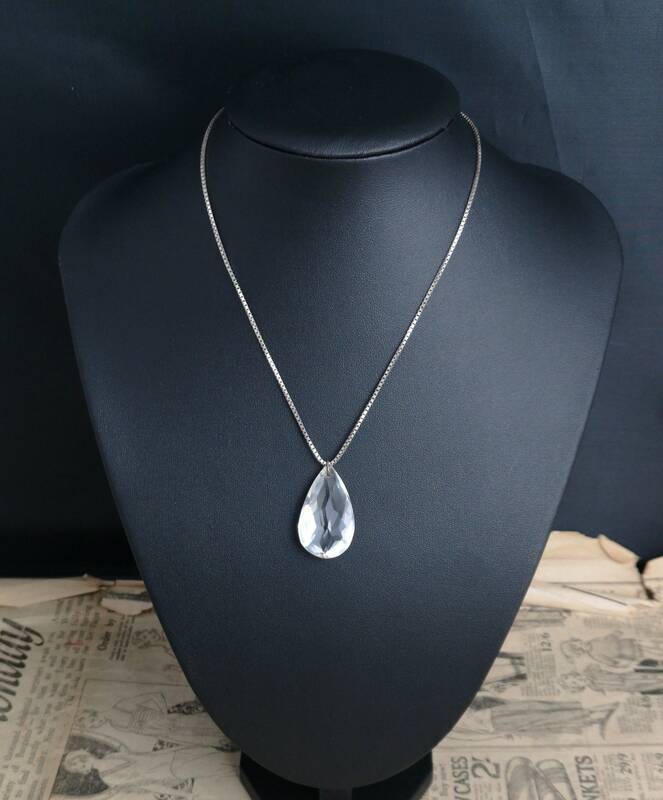 The pendant comes on an Italian sterling silver fine box chain, it is marked but the marks have worn, tests as sterling 925. 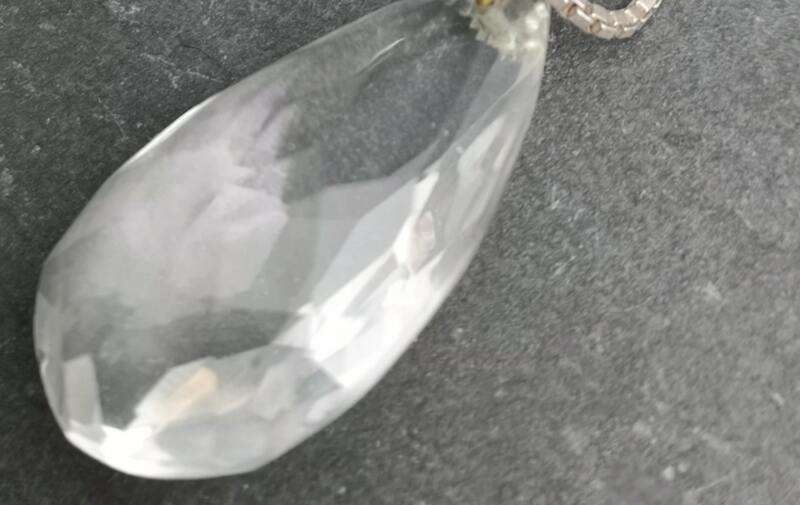 Condition is good there are some tiny nicks in the crystal invisible to the naked eye but you can see them under loupe and feel a few, there are some larger fleabites near the hole.